Always Call Timothy’s address, phone, website, and more. Always Call Timothy’s first opened its doors in Colorado in 1989. Owner, Timothy Nichols who’s family can be traced back in Colorado for over 100 years. Timothy felt that the Front Range needed a jewelry store which would focus on customer service, truth in pricing, and have some amazingly unique jewelry. Always Call Timothy’s was raised to believe that the only way to do anything in life is to make certain that all involved parties benefit equally in all interactions. Timothy also believes that every person who walks into one his stores should be welcomed as if they were friends and made to feel comfortable weather they are there for a major purchase or simply to ask a question.You will see that your experience at Timothy’s is like no other. Timothy Nichols has been a leader in the Rocky Mountain jewelry industry and is considered one of Colorado’s best full-service jewelry stores. Always Call Timothy’s is locally owned and operated. Our staff will assist you in selecting engagement and wedding rings or selecting the loose diamonds to fit the setting you choose. Your bridal jewelry from Always Call Timothy’s will be an heirloom to last a lifetime of love. 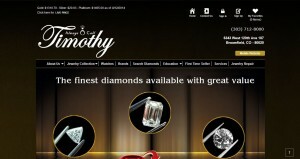 The professional staff at Always Call Timothy’s provides virtually all jewelry services. Additional services include watch repair and battery replacement, certified appraisals, and insurance company approved loss appraisals. Always Call Timothy’s provides on-site jewelry repair including resizing of rings, resetting and replacement of loose and lost diamonds and gemstones. We can repair necklaces and bracelets in gold, silver, and platinum. Have you lost one of your favorite earrings? Always Call Timothy’s has a large selection of earrings in diamond and gemstones. If we don’t have the exact match, we can create a new custom earring to match the original. 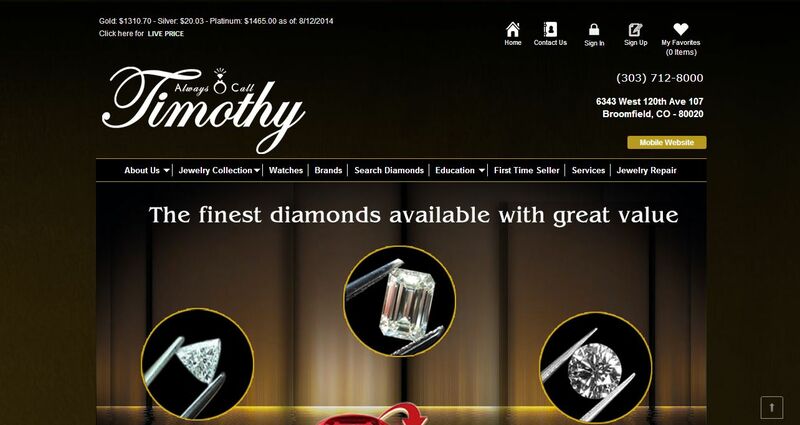 Always Call Timothy’s also buys gold, platinum, silver and large diamonds. We pay you immediately for unwanted jewelry. The value of your unwanted jewelry is based on actual world market pricing. We use state of the art equipment to identify karat values, ensuring the most accurate value.